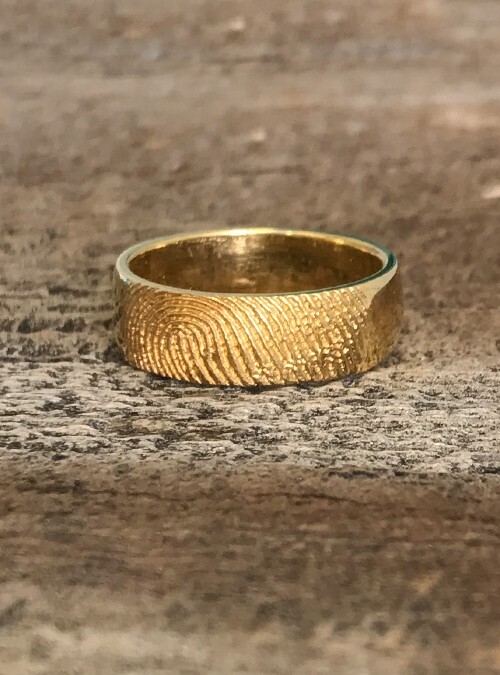 For the ring you will wear everyday of your life choose Dimples for high definition fingerprints that are so true to life you’ll swear your partner just touched your ring. Be together wherever you go. With one or two fingerprints. Inquire to customize further with gemstones. Inside ring engraving in block font. This gorgeous 7mm wedding ring will be made to order for you. Each ring is lovingly handcrafted in North America.